Whether your home has thin walls or you just happen to live with/near very light sleepers, waking up to a squawking alarm clock every morning is a good way to annoy those around you. 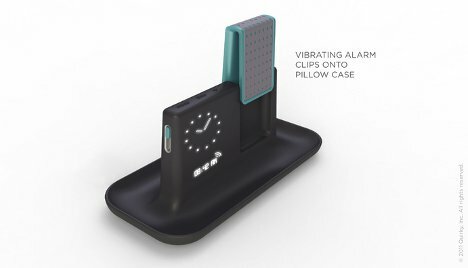 The Chirp alarm clock would wake you with a gentle shaking of your pillow rather than assaulting your ears – and those of everyone nearby – with a loud beep, buzz, or blast. 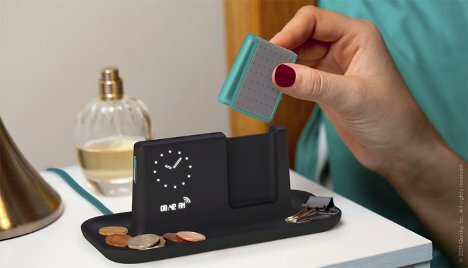 Currently in development by crowdsourcing inventors Quirky, the Chirp features a base with a handy little change tray and a standard clock. There is a small plastic clip that detaches from the base to clamp onto your pillow. 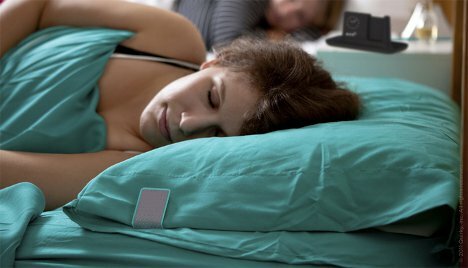 When it’s time to wake up, the clip vibrates to rouse you from your dreams. Placing the clip back on the base shuts the alarm off. The great thing about the Chirp is that if you fail to wake up from shaking alone, an audible alarm will start sounding off. Letting the beeping start up won’t win you any points with your light-sleeping significant other/roommate/neighbor, but at least you won’t have to explain to your boss that you overslept yet again. See more in Clocks & Watches or under Gadgets. January, 2012.